The steps that need to be taken to become a hacker are not easy. This article will give you few of the most important steps essential to be a hacker. The article will focus on skills and attitude that is required to become a hacker. Breaking the security system and entering into the system is not the only thing a hacker does. A relentless attitude and pristine skill-sets are two cornerstones for being a master hacker. Knowledge of wide variety of computer science topics is required, however knowing things at great depth is the key to a hackers success. Therefore having a positive attitude toward learning is essential in the journey of learning to become a hacker. It is not an easy task to be a hacker. As a hacker, you need to have an attitude and curiosity. Reading the hacking manifesto can teach you the attitude of a hacker. Nurturing the hacker attitude is more about developing competence in the languages rather than having a stereotypical attitude. Though a lot of people consider that a hacker is a criminal; However in real life, they are hired by big companies for protecting information and minimizing potential damage. The act of hacking actually is that of being an over-curious and outwitting authority. As a hacker, you should be hell-bent on breaching authoritarian rules, secrecy, and censorship. Deception is another arsenal which will allow you to dodge the vigilant eyes of authority. The act of stealing something or doing harm to someone is not hacking. Such people are commonly called crackers in the community. Crackers are involved in illegal activities and I will not recommend you to get involved in such activities. C programming is one of the most powerful languages in computer programming, It is necessary to really master this language. This programming language was invented by Denise Ritchie in between the years 1969 and 1973 at AT& T Bell Labs. C programming will essentially help you divide the task in smaller pieces and these pieces can be expressed by a sequence of commands. Try writing some program on your own by assessing the logic. By Brian W. Kernighan and Dennis M. Ritchie) to understand the real power of c language. This book is not an easy read however its a must read the book to get an in-depth understanding for C Programming. When you are trying to become a hacker, it is very important to learn other modern computer programming languages such as Java, Perl, PHP, and Python. One of the best ways to learn these is by reading books from experts. It will also help to know about markup languages like XML, HTML and data formats such as JSON, Protobuf, and others which are a common way to transfer data between client and server. Java is one of the most popular programming languages. It has been claimed that it's also very secure. Knowing Java security model will empower you to understand how this language achieves security. Learn about the security loopholes in Java language and related frameworks. Pick and read from many free PDF, tutorials and ebooks available to learn java online. Perl is a general purpose dynamic programming language, which is a high level and can be interpreted. This language borrows some features of C language. On the other hand, JAVA is concurrent, class-based and objects oriented programming language. Python is really handy when you are trying to automate some repetitive tasks. HTML is the markup language based on which the web pages are designed, created and displayed. The web browsers read the HTML code to display the web page. Python is best language for web development and favorite language of a lot of programmers due to its simplicity and quick turn around. A lot of people use Python to do simple and complex automation. For more programming language tutorials check - best programming tutorials. UNIX is a multi-tasking and multi-user computer operating system that is designed to provide good security to the systems.This operating system was developed by some employees of AT&T in Bell Labs.The best way to learn it is to get into an open-source version (e.g. centos) and install/run the same on your own. You can operate internet without learning UNIX, but it is not possible for you to be an internet hacker without understanding UNIX. If you have not used Unix operating system yet, a few essential linux commands will make your comfortable in getting quickly started. Unix in a Nutshell by Arnold Robbins is a good way to start. This book will teach you how to use Unix. The Design of the UNIX Operating System by Maurice J. Bach for getting in-depth understanding of Unix operating system. A large number of web servers are hosted on Unix based servers and knowing internals of this operating system is going to be really a big boost in your skills. There are many other operating systems apart from UNIX. Windows operating system is one of the most commonly compromised systems, hence it is good to learn hacking Microsoft systems, which are closed-source systems. According to the National Vulnerability Database, Microsoft operating systems have a large number of vulnerabilities. Windows OS installers are distributed in binary, therefore it is not easy for you to read the code. Binary code is basically the digital representation of text and data that computer understands. However, knowing how programs are written for windows and how different applications behave on this operating system will help. One of the recent vulnerabilities of a popular OS was that Java Web Start applications get launched automatically even if the Java plug-ins are disabled. How to be a hacker is about knowing the weaknesses of these operating systems and targeting them systematically. The networking concept needs to be sharp when you want to be a hacker. Understanding how the networks are created is important, however, you need to know the differences between different types are networks. Having a clear understanding of TCP/IP and UDP protocol is a must to be able to exploit the vulnerabilities on the world wide web. Understand what is subnet, LAN, WAN, and VPN. The networking commands to do an HTTP request needs to be on your fingertips. The HTTP protocol is the gateway through which one enters the internet world. Hence it is necessary to learn this protocol in order to break the barriers. The hackers often use the HTTP gateway to breach the security of the system and take control over it. Apache Httpd is one of the most commonly used web servers and knowing in and out of it is going to empower you on any HTTP or other application layer protocol related endeavors. This is the simple and best way to start. Read as many tutorials as possible that are meant for hacking. 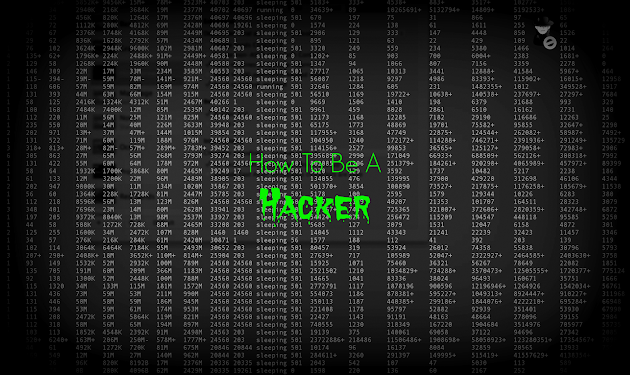 These articles will give you insight and help you develop the attitude to be a hacker. Some tutorials will initiate you with Nmap, Nessus and SuperScan, some of the hacking programs or tools that hackers generally use. These tutorials are readily available over the internet; Both text and video tutorials are available for you to answer your question how to be a hacker. As an expert hacker, you need to understand and master the art of cryptography. The technology of cryptography and encryption is very important for internet and networking. It is the practice and study of techniques that are used for secure communication in the presence of third parties. The encryption is done for various aspects of information security such as confidentiality of the data, the integrity of the data and authentication. Moreover, the technology of cryptography is extensively used in ATM cards, computer passwords and e-commerce. While hacking, these encrypted codes need to be broken, which is called decryption. Cryptography is heavily used in SSL based internet communication. An expert hacker should be able to understand how SSL works and what is the importance of cryptography in keeping SSL secure. Try reading about various encryption algorithms and see why they are difficult to decrypt. Participate in challenges for decrypting powerful encryption. An expert hacker will be able to demonstrate weaknesses in an encryption algorithm and should be able to write a program that can show how decryption can be performed without much information about keys. Understand various techniques used for password cracking. There are dozens of tools available to do password cracking, and using it is not hacking. To be an expert at hacking its important for you to understand how to create a program that can crack a password from ciphertext. This is an important step for setting yourself up as an expert hacker. Setup a laboratory on your own to experiment the learning on the practical applications. The simplest lab will have your computer, however, once you advance you may want to add more and more computers and required hardware for your experiments. It is good to try experimenting on your own computers, where you can rectify if you have done any mistake. Many hackers initially start off by downloading virtual lab applications such as Oracle VirtualBox. You require at least 3 GB of RAM and a comparatively powerful processor to carry out your hacking experiments. Setting up the virtual machine is crucial, as it will allow you to test virus, applications, and different servers without affecting your own PC. Keep a backup before any experiment. Start small and have check points. Reading a lot about anything related is so important in a hackers world that you must also consider enhancing your reading speed. If your reading speed is slow then you may not be able to progress fast in this field. Practice speed reading techniques like skimming, chunk reading, etc. When it comes to reading a lot, it's also important to know that a majority of content on the web is not worth your time. Many people use search engine tricks to attract traffic but have little value in it. If you skim thru an article within seconds and decide not to read that is going to save you a lot of time for some really well-researched content. The Art of Exploitation by Jon Erickson is an excellent book to teach you become an advanced hacker. Regular participation in hacking challenges can help you learn more and sharpen your knowledge. There are several companies that organize these challenges in order to check the vulnerability of their software products. The most common hacking challenge includes breaching the security system of the software and taking control of the third party computer systems. Apart from that, there are some websites listed below that regularly offer hacking challenges online. The vulnerability of a program is the weakness of the program. It is a good approach to look for the vulnerability of an existing program and share the same with others. In this way you will have the option to collect varied opinions from different sources, enabling you to hone your current skill set. The examples of computer vulnerabilities include memory safety violation, input validation error, privilege confusion bugs and user interface failure. For instance, Microsoft’s Internet Explorer 11 had the vulnerability bug in its preview version which several hackers exploited. Identifying a new weakness in any software is the real work any expert hackers would perform. Contributing to an open-source computer security project is a great platform to test your skills. This is not everyone’s cup of tea. Many organizations like Mozilla and Apache offer these types of open source projects. Try to be a part of these projects and add a valuable contribution to the benefit of the community. Participating in the open source security projects such as anti-spam, anti-virus, firewall and data removals help you augment your dexterity as a hacker. Contribute your vulnerability findings to the global vulnerability databases and give back to the community. Remember that it does not matter if your contribution is small, as long as you participate and add value it helps. The key to success in hacking career is continuous learning. Reading blogs for hacking available at sites such as hackerfactor blog and IKEA hacker blog; participating in the forums such as hackforums.net and elite hack are great ways to refresh your knowledge as a hacker. The online video forums like TED or TechTalk are good sources to know more about the emergent hacking techniques and technologies that are being deployed. You should also try following the posts of famous hackers such as Adrian Lamo, Kevin Mitnick, Kevin Poulsen and Robert Tappan Morris. Above are a few exhaustive steps that can teach you how to be a hacker and help you walk the road of being an expert hacker. However, you should be a responsible citizen and be selective, ensuring you don’t use this skill to breach the security of important institutions, as it may land you in dire straits. You should always remember, for every hacking tool, there is always a counter-hacking tool. Therefore, be a smart hacker and more importantly, be a responsible hacker. Nice post, bookmark this page ! enigmagroup.org is a better hacking challenge site than hackthissite and pretty much the rest of that list. You should consider adding it. As a developer with a CS degree, I think you are just describing what it takes to be a (professional) Developer. Go to school, get a CS degree and that would cover most of what's in the article and then some. It seems a bit backwards to come from the point of view of 'want to be called a hacker?' and list what should already be their passions, interests and skills. It's like telling somebody who wants to be a Chef to learn to like food and learn how to get around a kitchen.